The complete guide to everything you need to know to make the BEST homemade soup and stew. Delicious, flavorful bisques, stews, chowders and soups all packed with amazing flavor and fresh ingredients. Can you serve up the best meals at home? Absolutely! Soup is good food! I’ve been called the Soup Queen! I was talking to some colleagues recently and I told them I’m not asking for much… I just wanted to be number one in google when you search for soup! 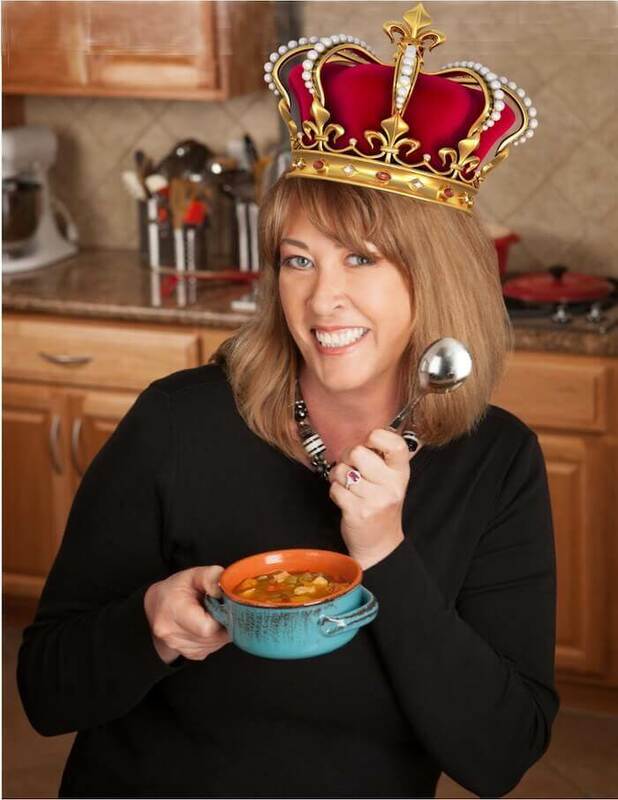 😀 In fact one of the pictures on my vision board is a bowl of soup with a crown entitled Soup Queen! So I was challenged to write down everything I know about soup…. so I did! And the next day I wrote a little bit more and then a little bit more. I’ve compiled all this information into a guide and I know you’ll find this a fun and informative read! I hope you reference it often and share it with your friends! Ok, here goes – Do you love soup? I do and it’s been a staple in my home for years and homemade soup is true comfort food. It’s an easy meal that can be made with just about any leftovers. It can be a great way to clean out the refrigerator while making a delicious and nutritious meal for your family. Some soups freeze well. In addition, many taste better on day two! Often times making soup ahead of time gives the flavors time to combine and develop. How do you make soup from scratch? butter goes well with rich bisques and chowders – but will scorch when used over high heat – here’s a tip use 1/2 butter 1/2 avocado or corn oil, both have high smoke points. You will still get the flavor of butter but reduce the chance of scorching! What vegetables will you use? potatoes, onions, carrots, celery, zucchini, eggplant, spinach, kale, cabbage, peppers, garlic, peas, asparagus, cauliflower – choose your favorite! vegetables – basil, oregano, parsley and rosemary – red pepper flakes, garlic, coriander, cilantro and tarragon offer intense flavor. simmer the pot until the meat is tender and the vegetables are cooked thru. taste and adjust seasonings, this is truly the most important part! Often what a pot of soup needs is a touch of salt to make it taste just right! How do you pick a great soup pot? 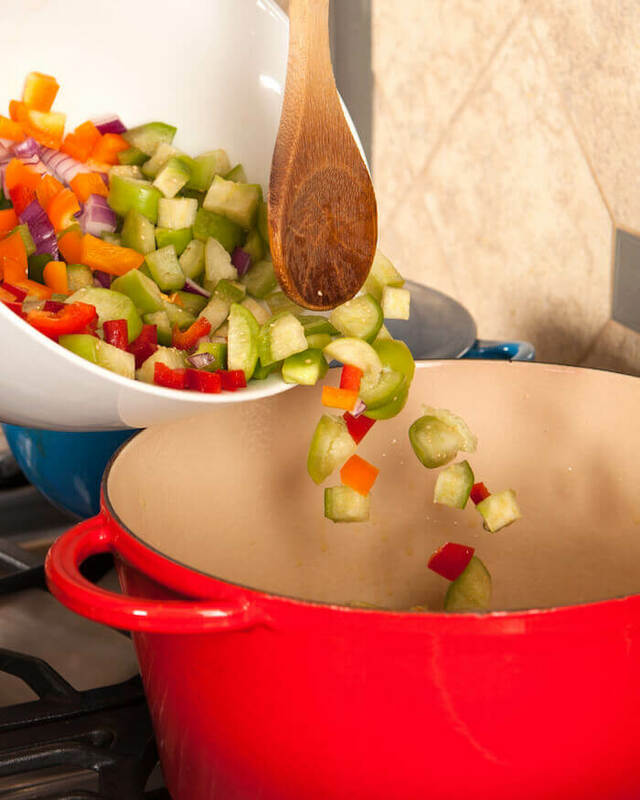 Choose a vessel with a heavy bottom, thick bottom, this will help it distribute heat evenly – perfect for making just about any kind of soup, stew, bisque or chowder. Not only will it work well for soup, it will be a versatile cooking vessel and last for years to come! Stock – Should you make it or buy it? Is homemade stock better? I’m going to give you a resounding YES! However… if you don’t have time to make it (and many of us don’t – self included!) purchase good quality stock. Be sure to read the ingredients and check the sodium content on the package. Often times an inexpensive box of stock is full of sodium. Salt makes everything taste better, but with the amount of sodium packed into it you might as well just open the salt shaker and pour a cup into your soup! This isn’t the case with all store-bought stock. Moral of the story – read the packaging! Why do the experts dice vegetables the same size? Dicing the vegetables the same size will help everything finish cooking at the same time! Additionally when you dunk your spoon into a bowl of soup you want to taste all the flavors, right? That’s hard to do if some pieces are too big to fit on the spoon! 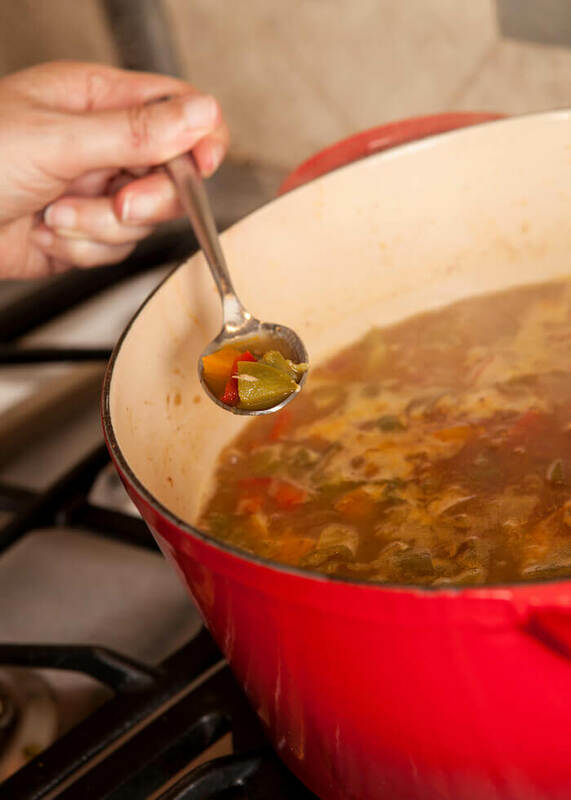 Why is homemade soup good for you? Soup contains a delicious balance of carbohydrates, protein and vegetables. A bowl of soup has minimal calories but is packed with nutrition! For those days when you’re not feeling well, a bowl of chicken soup is the perfect choice and a warm comforting meal! It is easily digested but filled with nutrients. Soup is a healthy way to start a meal because it fills you with vegetables and broth, just be sure to choose the right soup! A cream based soup can be high in fat and calories. Broth based soups are lower in calories and (often) carbohydrates too! Homemade soup is a better choice than canned because you can control the sodium, canned soup is often high in additives. 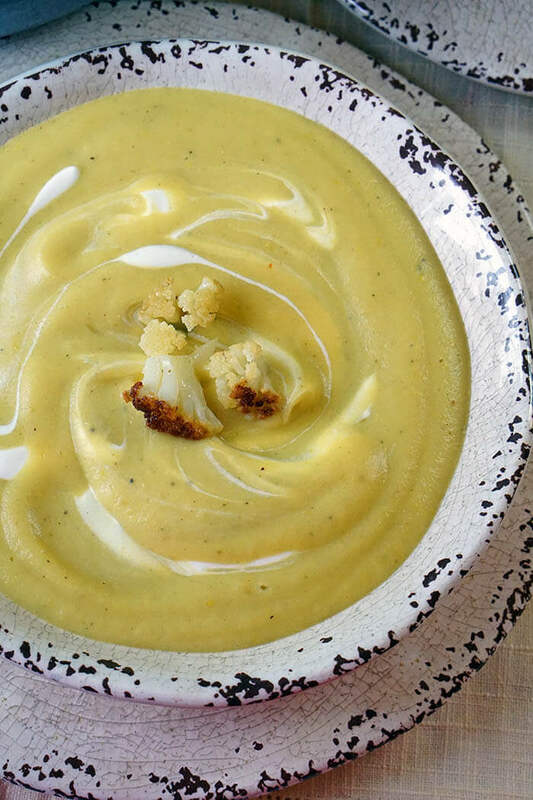 Many Cauliflower Soup Recipes are full of cream and cheese, but this recipe is guilt-free and delicious! How do you thicken homemade soup? 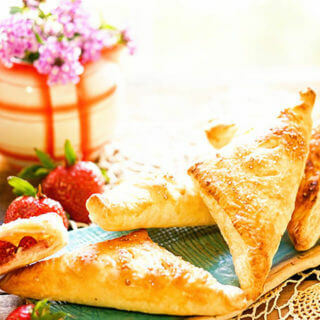 with flour – mixing a couple tablespoons of flour with water or broth until it is smooth and lump free. (If it is not “lump free” prior to adding it to the soup – the soup will have lumps in it!) Add the slurry to the soup while stirring vigorously and continue to cook for a couple of minutes. This will cook the flour. Otherwise, you’ll have a flour taste – ew! with cornstarch – 2 tablespoons cornstarch combined with 3 tablespoons cold* water – mix until smooth (*If you mix cornstarch with warm water it’s almost impossible to get the lumps out!) Pour into the hot soup while stirring vigorously. 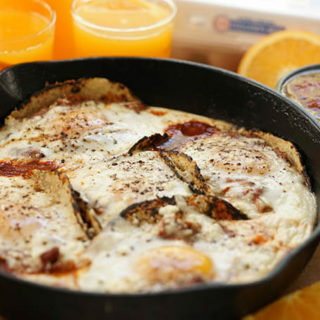 with an egg(s) – start by beating the egg(s). To avoid curdling, drizzle about 1/2 cup of the hot broth into the eggs, stirring vigorously while you pour. Next, add the egg mixture to the soup. Stir and cook until thickened. 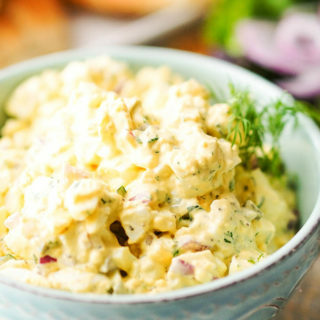 with pureed vegetables – cooked Yukon gold potatoes provide a rich thick texture when pureed. The starch from russet potatoes will help thicken soup. Grating a raw sweet or russet potato directly into a soup will thicken too! As it cooks it will slowly melt into the soup and release its starch. Potatoes aren’t the only vegetable you can use though. Cauliflower, corn, carrots, turnips and peas all puree nicely and will thicken the base of a soup! Removing a portion of it and adding the vegetables to blender works great. Adding the mixture back into the soup will make a nice creamy base. You can also use a handheld immersion blender, just blend the entire soup until it’s the consistency you’re looking for. Bonus? You don’t dirty any extra dishes! Delicious flavor that you wouldn’t dream would come from a chilled soup! What is the difference between a bisque and chowder? This is a great question! Bisque and chowder are two types of soup both with a thick consistency. A bisque has a smooth texture. 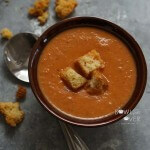 It is a soup that has been thickened and is pureed until creamy like my Tomato Bisque. Bisque Soup originated in France and was primarily made from a seafood stock. It has evolved and is now more widely accepted as a soup that is smooth and creamy. Popular recipes for bisque are lobster, crab, and seafood. 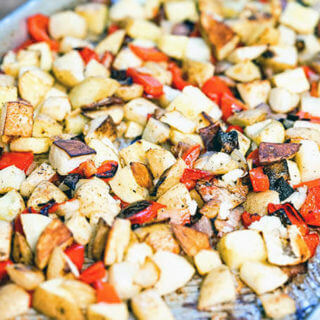 Tomato, mushroom, cauliflower are great vegetarian options. A chowder is a type of soup that is often prepared using milk or cream. It’s thickened with a roux (flour or cornstarch) and left with big chunks of vegetables that give it a great texture. Popular chowders are clam chowder, seafood chowder, potato and corn chowder. Always be sure to taste testing your stew as you’re cooking! How do you give Homemade Soup that extra pizzaz? This is one of my favorite things to do when making soup. There are ingredients that you can add at the end of soup making that give it that extra somethin’ somethin’! That taste that you can’t put your finger on but will have your eyes rolling back in your head! 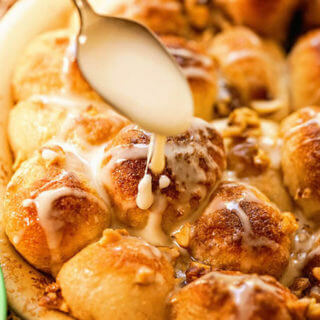 You’re swooning and lip-smacking and most definitely you’ll be saying mmmmmm!!!! Don’t be shaking your head – you know you do it! How do you make that happen? 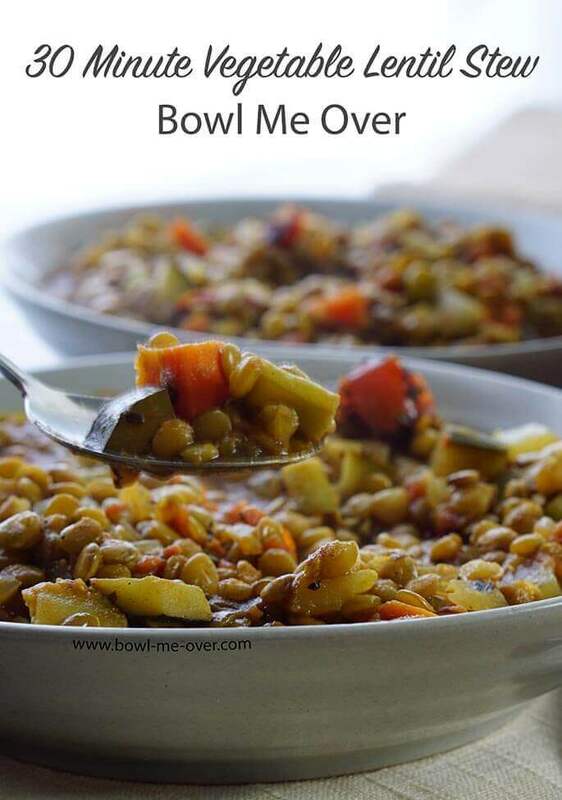 It’s really quite easy; by adding acidity and freshness at the end of cooking. Often times you’ll see soup served with a garnish of fresh parsley, green onions or cilantro. This is more than just making it pretty. It’s also to add a burst of freshness! Here are some combinations for your soups that will take it to the next level. 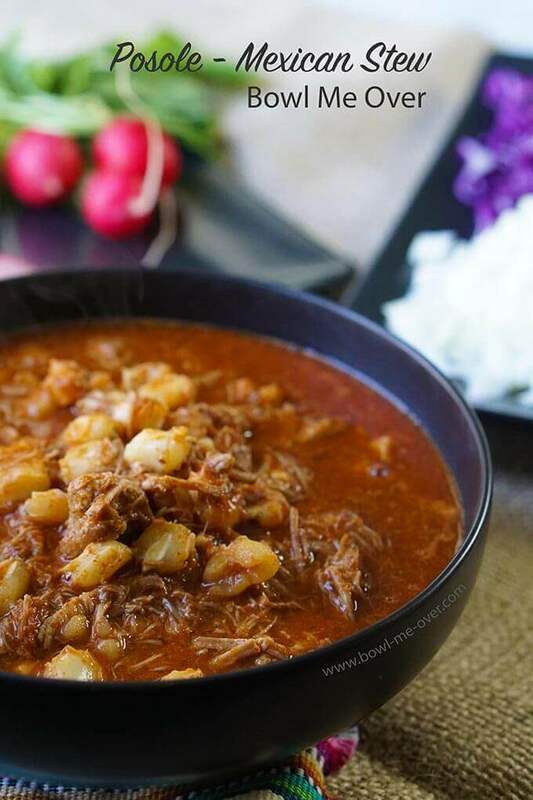 salsa and cilantro – a spoonful of salsa on your tortilla soup adds loads of flavor and a bright zesty bite – perfect for tortilla and taco soup, any Mexican flavored soup! sesame oil – a little goes a long way with sesame oil. It has a heady rich aroma and it will coat the inside of your mouth – it’s a beautiful accompaniment for most any Asian soup. olive oil – a drizzle of olive oil on a bowl of creamy bisque will take it right over the top! pickles – yes pickles – don’t skip these! Topping off a cheeseburger soup with pickles gives it the perfect amount of zest. It cuts thru the richness of the heavy meat, cheese and bacon. wine – walk right by the cooking wines, DO NOT use these when it comes to season a soup. Don’t cook with something you won’t drink and I sure won’t drink cooking wine. Red wine adds a special burst of flavor, especially to a tomato based soup. White is delicious in clear soup. Wine needs time to develop flavors and is best when added during the cooking process (rather than a drizzle at the end). pesto – I always keep a jar of pesto in the refrigerator. Pesto is made with basil, pine nuts, parmesan cheese, olive oil and salt. 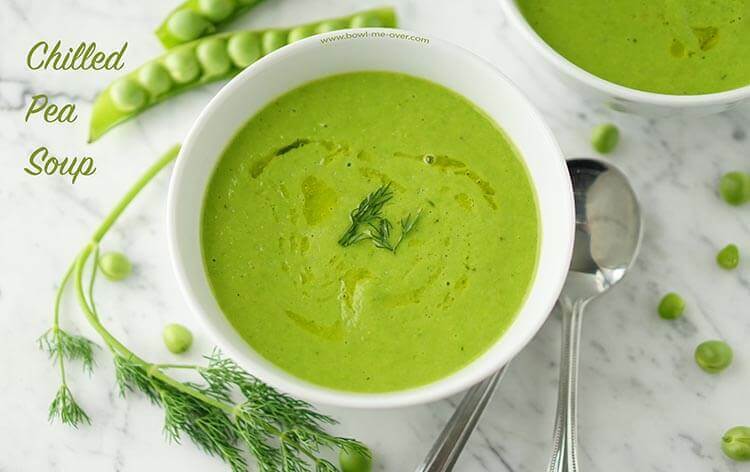 A spoonful of pesto added to your soup at the end imparts a ton of flavors and makes it taste like you’ve simmered it all day long! fresh herbs – minced parsley will add a burst of flavor to Instant Pot Lentil Soup or just about any soup! As will green onions, cilantro, basil and dill – just a sprinkle over the top of your soup will brighten the flavors. parmesan rind – next time you finish grating parmesan, take the rind, wrap it well and tuck it in the freezer. Add this to your next bean, minestrone or vegetable soup. The rind imparts a TON of flavor! Add it at the beginning of the cooking process and remove it before serving. What can I add to homemade soup to make it less spicy? Sometimes you follow directions to the T but when you taste the meal you’ve prepared, you realize it’s just WAY TOO SPICY. Do you throw it out? No! Here are ingredients you can add to your soup to combat the heat. sour cream, creme fraiche or yogurt – as mentioned above this will cool a spicy soup. The dairy combats the heat in your mouth and will slightly cool the meal. water, stock or canned tomatoes – increasing the volume will obviously distribute the heat. Of course, it also dilutes other flavors and spices so you’ll need to do some adjusting all around. peanut butter – did you just make an amazing bowl of Asian soup only to realize it’s fire hot! Cream a couple tablespoons of peanut butter with an equal amount of stock, then add it to your soup. The peanut butter will help coat the inside of your mouth similar to dairy products. 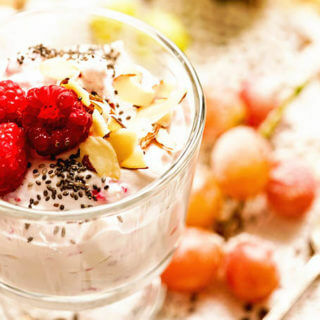 sugar – sweet/hot is all the rage and there’s a reason, sweet combats heat! A tablespoon of sugar or honey will help balance the heat, but be careful, a little will go a long way and you do not want an overly sweet meal. lemon/lime or a teaspoon of vinegar – like rock, paper, scissors – acid trumps heat – add sparingly! Click here for my soup gift guide! 10 MUST have items for making your own soups and stews at home! Don’t forget to taste your meal before serving and adjust seasoning as needed! What’s your favorite soup making tip? I LOVE this guide to soup making! I am always wanting to make more soups than just following directions and this is such a thorough guideline. Thank you so much. 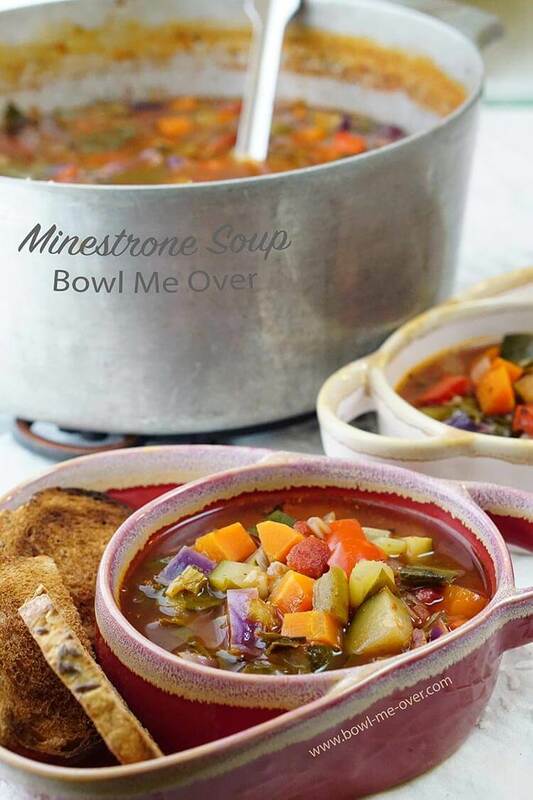 The Minestrone looks totally delish! Thank you Susan! I’m so excited that you found it and you’ll get great use from this guide!!! Yep you are most definitely the soup queen! This post is filled with so many great tips I can’t wait to use! And looove the tip about using pickles in your cheeseburger soup! Can’t wait to try that! You definitely need to add pickles to cheeseburger soup, it takes it right over the top – such an unexpected but perfect flavor. Thank you Ashlyn! I love all the information in this post! SO helpful to basically make any homemade soup you want. Thanks Christie – I’m happy you’ve found some useful information here for next time you make soup! Wow… so much great information! After reading all of your suggestions here no-one would need to even have a recipe to make their favorite soup with all of the details you give! Now I think I’ll go make some soup for us to have! I’m glad you found it to be helpful – I tried to put all of my information into one spot. Enjoy your soup! This is such a great resource! It’s making me want to make a pot of soup tonight! Wonderful, I’m so happy you found it helpful! What amazing information. You didn’t leave out one detail and I’ll be referencing this one over and over! Wonderful! Thank you Julie, soup is definitely what I love and it shows – appreciate your references to this post!! This is an amazing tutorial!! I love all the tips and tricks! You should be number one in no time! I love a shot of hot sauce in my soup to liven it up! That’s a great tip Jennifer, thank you for sharing!!! What an incredible wealth of information here!! I have pinned it and shared it with all of my soup loving friends! This guide is amazing!! so well put together, ms queen of the soups! Can I just say this is the coolest how to post I have ever read? 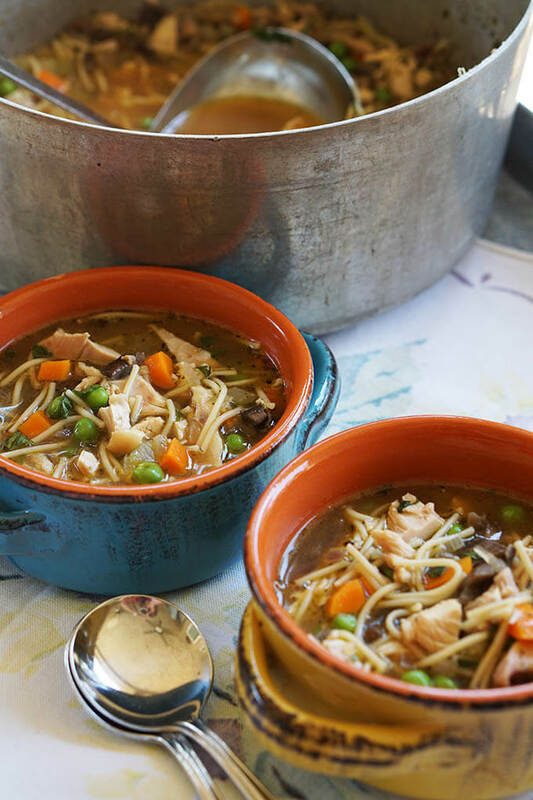 I’m a soup fanatic and you have covered all of the important stuff and more! You’ve made my day, thank you Sandi! I worked hard and brought everything I could together on the subject of soup, I’m glad it’s something you’ve found useful!! This guide is truly the ULTIMATE! Love it so much! I love my soups, and having such a big collection of all the best soups in one place is a great thing! Thanks! You’re so welcome Liza, thank you!